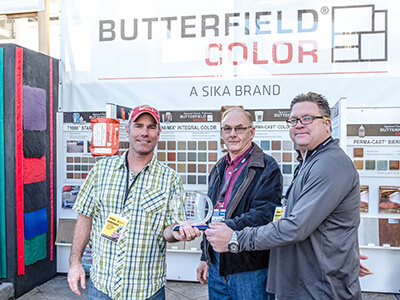 Butterfield Color® Project of the Year Winners Announced! 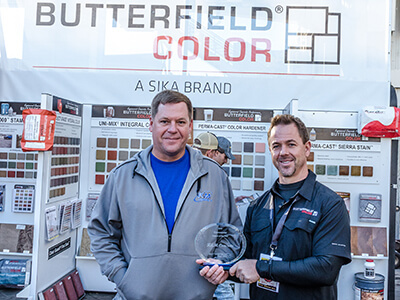 When we launched our very first Butterfield Color® Project of the Year contest in 2018 we didn’t know exactly what to expect. Would we get a few entries or a couple of dozen? Well, we’re very excited to reveal that we were very much blown away by the response! We received over 60 entries total from across the country in our three contest categories: residential, commercial and municipal. 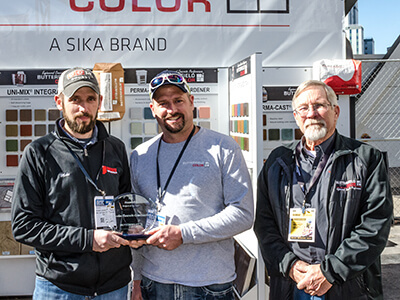 The winning entrants, decided upon by a panel of five industry judges, received accommodations to the 2019 World of Concrete in Las Vegas and those winners were presented their awards at the show. Our Residential winner was this backyard patio project from Hoosier Concrete out of Indiana. 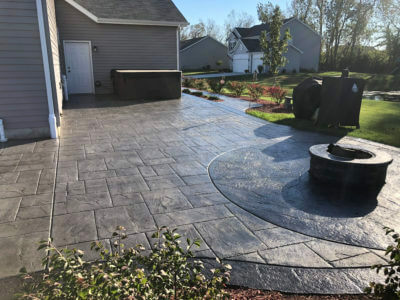 This project was 1,750 square feet and used the following Butterfield Color® products: Majestic Ashlar Stamp, Uni-Mix® Integral Color, Heavy Stone Texture Mat, Perma-Tique® Antiquing Agent, Clear Guard® PRO 350® Cure and Seal and Cantilevered Cut Stone Step Liner. 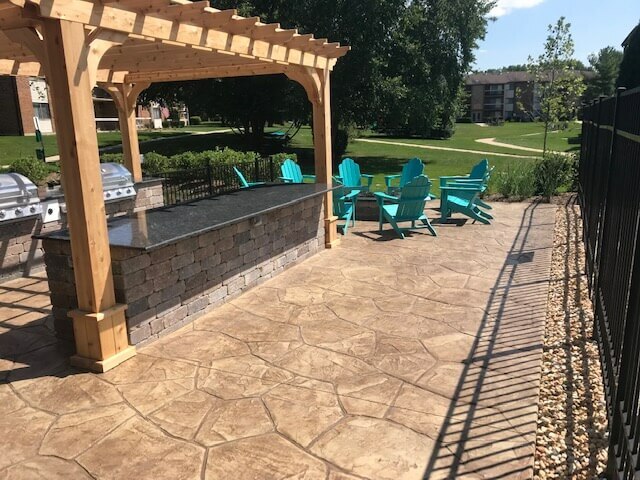 The winner in the Commercial category was this outdoor living space at an apartment complex from K&M Concrete of Illinois. This project was 800 square feet and used the following Butterfield Color® products: Uni-Mix® Integral Color, Perma-Cast® Antiquing Release, Clear Guard® PRO 350® Cure and Seal and Orchard Stone Stamp. Our Municipal winner was Landmark Contractors in Illinois. 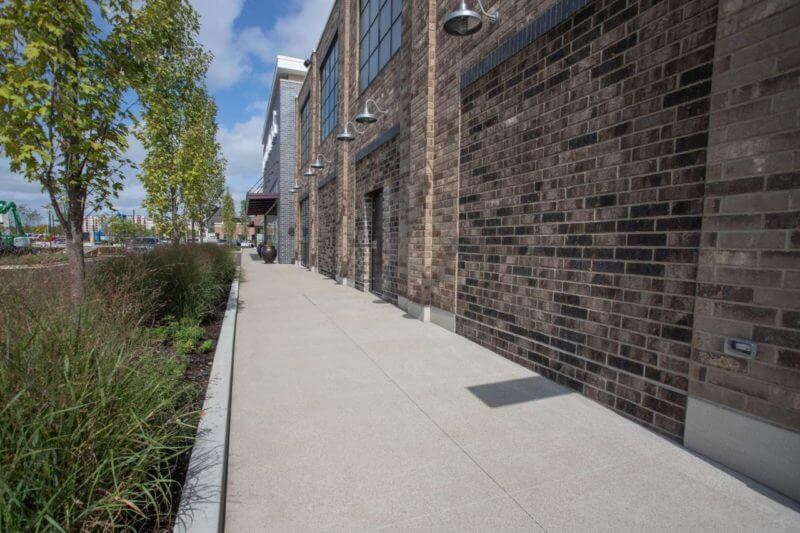 The project included 58,000 square feet of sidewalk and other concrete surfaces at a large outdoor shopping area. Butterfield Color® products used this project included our SurfEtch™ 05 Top Surface Retarder. 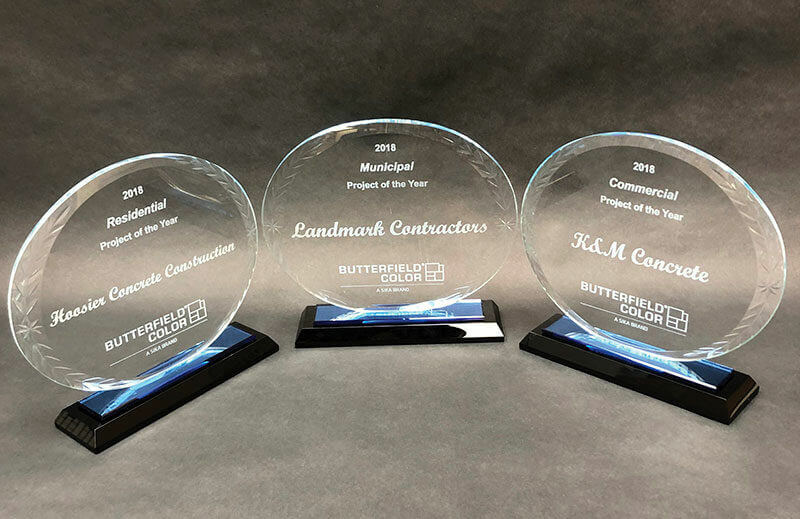 Thank you to all who entered the 2018 Project of the Year. We saw so many amazing entries! We look forward to bringing back this contest in 2019. We’ll announce this year’s call for entries in the near future, so stay tuned!